Being that I am the web administrator of EpicFinances.com, I have found it very important to try to find ways of improving my websites through various web programming languages. 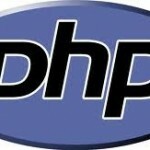 I find myself quickly realizing that I want to learn PHP. I don’t just “kind of want to know PHP” either, I want to basically master it. I think to myself, how much would I be willing to pay to magically input PHP skills into me? $1,000 dollars? $10,000 dollars? What types of opportunities could these PHP skills lead to? How lucrative would these skills be? 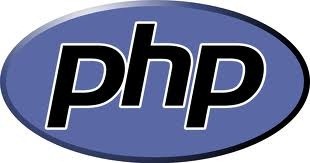 I ultimately have come to the conclusion, I would pay roughly $5,000 to have a very good understanding of PHP (via magical effortless learning). Of course this magical effortless training doesn’t exist, but it brings me to a point. I could probably learn PHP with books and videos (which are basically free), in probably 500 hours. That’s $10 an hour of after-tax money savings. Maybe I should view it this way, I am effectively going to get a $5,000 skill for the cost of 500 hours. If I could master it, it would be well worth the time. I have always been strong with logical thinking, but never actually sat down to learn a language. Hopefully my skills and my website will continue to grow. A preview of something I wrote this evening. It’s a good old fashion mortgage calculator. is your monthly payment on a mortgage of $150000 at a rate of 0.04 over 30 years. Sadly PHP might have to wait until after the CPA.